Green cities do better. They are healthy, with clean air, green spaces, safe drinking water, and offer a great quality of life to the people that live there. 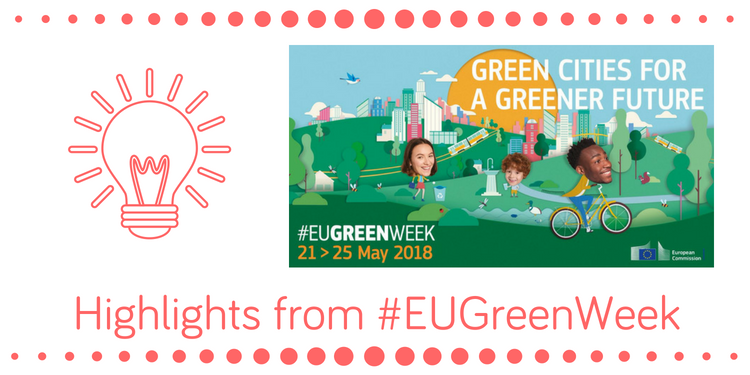 EU Green Week 2018 explored ways in which the EU is helping cities to become better places to live and work. Local authorities and citizens were invited to share their vision of a sustainable future. 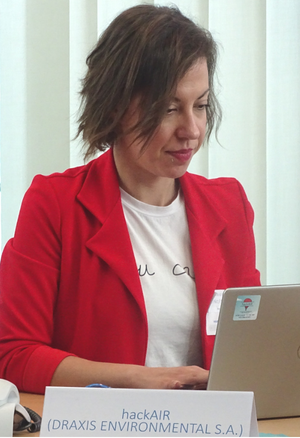 We presented hackAIR at a full-day networking event during the EU Green Cities Summit in Brussels: Involving citizens in air quality monitoring through Citizen Science initiatives. Together with other initiatives such as iSCAPE and Ground Truth 2.0 we discussed how low-cost air quality monitoring can help provide real-time data and engage citizens in environmental monitoring. The role of citizen engagement was highlighted throughout as central to delivering the promise of green cities. We heard stories of sustainable urban development, health and waste management in the panel session Towards greener cities: citizens as drivers for change (link to video recording). Citizen science in particular is achieving environmental policy impact on diverse topics such as air quality and flooding (see the video recording of Making our cities green with Citizen Science for the full discussion). One of the inspiring examples of the power of large-scale citizen science presented during Green Week is Curieuze Neuzen (Dutch for: Curious Noses). 20.000 citizens measured air quality in Flanders (Belgium) in May 2018. The project team found that citizen science is a powerful tool to raise awareness and get information across about environmental problems. In order to reach those who are not the “usual subjects”, simple and robust methods of data collection are needed. The Curieuze Neuzen campaign collaborated with print media, TV, radio and ads in public transport.